My name is Helen Stephan and I have been involved with Children of Bellevue for a number of years and one of their programs, Reach Out and Read, is particularly very near and dear to my heart. The Reach Out and Read program helps promote early childhood literacy and school readiness in some of New York’s most vulnerable children by giving them books at regular checkups along with advice to parents about the importance of reading aloud to their children. 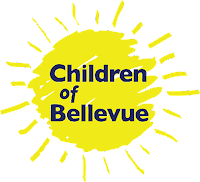 When I first became involved with the charity I toured this fantastic program and I saw the children being thrilled to receive books at their doctors visit. I then knew I had to get involve. These books are often the only books these children have in their homes. Having two young children of my own who both love to read and have ample access to books made me realize how transformative this gift can be. 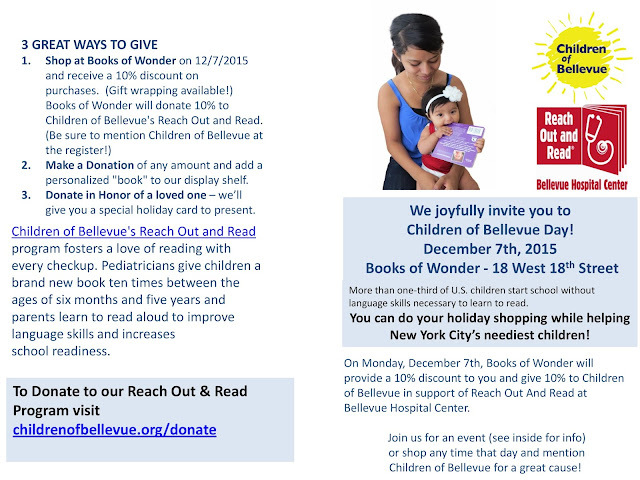 I am co-chairing two events at Books of Wonder in support of Bellevue Hospital’s Reach Out and Read Program for the 4th year and I would like to invite you to two events on Monday, December 7th, a children’s event from 3-5pm and an adult event from 6-8pm. Both events are free and you will receive 10% off any purchase on the day and Books of Wonder will donate an additional 10% to the program. 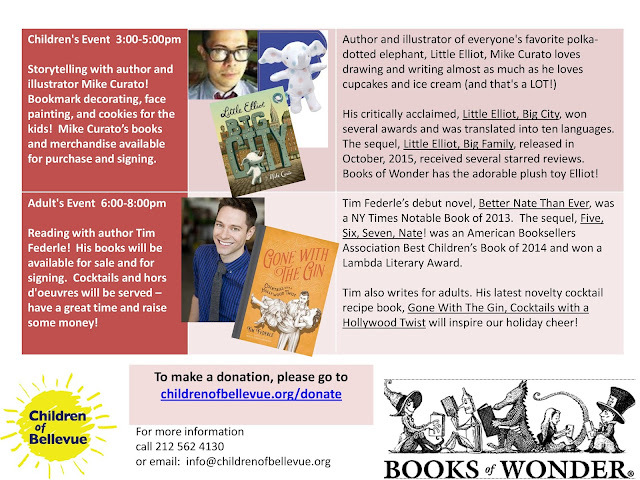 Please see the invitation and details of both events below.